Have you gotten separated from your skiing companions on a busy slope and you’ve just heard of an impending storm coming? It’s not a problem at all because you’re all connected with durable two-way radios and you can connect with everyone instantly! Take the time to read this article to keep everyone in your skiing party safe and informed. Even if you all have cell phones, there are distinct advantages when using walkie-talkies for skiing communications. So long as you’re within range of those you want to speak with, you won’t have the concern of “dead zones” as you would with cell phones. With two-way radios, there are no monthly usage fees, and if you use Family Radio Service (FRS) radios and frequencies for your communications, you don’t even have to purchase an FCC license to operate them. There are special considerations for hiking or skiing walkie-talkies that business users in an office building don’t have to worry about. Just as important as choosing a radio with ample power and range to reach everyone on that mountaintop, your radios must be rugged enough to withstand extreme temperatures, moisture, shock and vibration – all likely risk factors on the slopes. They must be slim and lightweight so they don’t load you down. You’ll also learn how important hands-free voice activation technology is when you’re racing by the people you need to speak to! Certain two-way radios for skiing are equipped with weather channels from the NOAA (National Oceanic and Atmospheric Administration) that broadcast important information about local weather conditions. These are the sorts of features you want to look for when trying to select the best walkie-talkie for skiing. Tech Wholesale, your premiere source for high-quality two-way radios for personal use and business use, has top-of-the-line Motorola radios that are especially recommended for use while skiing. They combine power and durability with important features like hands-free operation and optional accessories such as a remote speaker/microphone or earbud. Certain models also include NOAA weather channels. 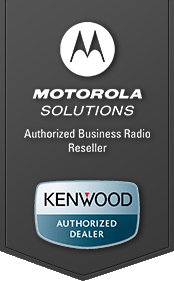 The Motorola RMU2040 is a business-grade UHF radio with 4 channels and 2 watts of power. It has an outdoor range of up to 250,000 square feet and has a rugged design built to military specifications for dust, wind, shock, vibration and extreme temperatures. It also allows for voice activated hands-free operation. The Motorola RMV2080, also in our business class, operates at VHF frequencies, for up to 220,000 square feet of coverage. It has 2 watts of power and 8 channels. Features include hands-free operation, NOAA weather alerts and military-grade durability. If you’re looking for a rugged radio system for skiing that doesn’t require an FCC license, the Motorola Talkabout-MH230R is the walkie-talkie for you. These radios operate on the FRS band, with 22 channels and .5 watts, giving you an outdoor range of up to 2 miles in various conditions and across diverse terrain. There are 3 walkie-talkies in the package, and they all include NOAA weather channels, iVOX hands-free operation and elimination codes for crosstalk-free communications.